If you're planning on ordering kitchen countertops online, be sure to do your research ahead of time. While you may find good deals on products, shipping, and installation, the inability to see the product in person can really complicate the job. The kitchen countertop is usually one of the first decisions and purchases made when undergoing a kitchen remodel. The style and color of your counter will ultimately drive the rest of the decisions you make. Additionally, this work surface will get a lot of abuse, so purchasing a counter that not only fits your style, but your lifestyle as well is crucial. Natural stone products such as granite will vary widely from piece to piece. Color can change from photographs. Color can look different in a showroom and in your kitchen. It gives you the chance to discuss use, wear and tear and maintenance with the salesperson to be sure the counter you are getting is the one for you. It may be possible to find a better deal on a particular granite, or on modular countertops online, rather than what you'll find in stores. If you have the knowhow to install the counter yourself, you can save a lot of money by ordering your counter online, and installing it yourself. Most counters purchased online will not have installation available, so finding someone to install a counter purchased outside of a showroom may end up costing more than you saved. If a solid granite or stone counter is out of your price range, and you don't like the idea of a tile counter, a modular countertop may be the right answer for you. Sold almost exclusively online, modular countertop systems allow you to build a counter out of pre-cut pieces. Edging, backsplashes and undermount sinks are all available, and the installation can typically be done by the homeowner, saving hundreds. When you work through a showroom, you get more than in-person service. Someone will take a template of your counter for you, installation is usually included and you have the option of taking home and viewing many samples in the light of your kitchen. If you've chosen to try to purchase a counter online, make sure you take the following extra steps to ensure your new counter comes out just as you planned. Take every measurement you can find, from the depth of the counter to the amount of finished edging. If possible, use a roll of craft paper and trace the outline of your counter on it. Send the paper in to the seller, to ensure your new counter will fit properly. 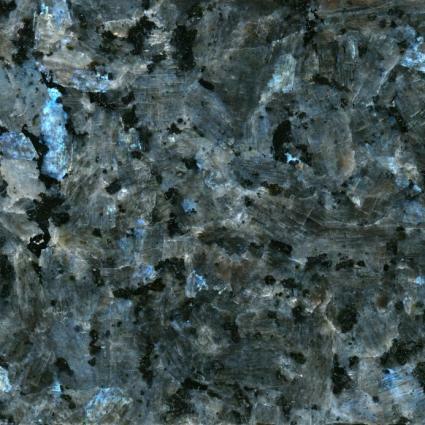 If you're purchasing a granite countertop online, you will probably see a sample of a generic counter. Even small samples sent out beforehand may not truly represent the counter you will receive. Ask the seller to take digital photos of the exact slab you will receive. This will enable you to see any veins, streaks or wild colors that you didn't want. Ask for the written installation instructions to be emailed to you before you purchase. Read them carefully and make sure that this project is truly one you are able to undertake. If it looks like it's beyond your abilities, talk to some contractors and get pricing; you may find it cheaper to go through a local fabricator after all. Keep in mind when you purchase a counter online, that these heavy items will need to be shipped. If you live on the West coast, avoid sellers on the East coast to avoid heavy shipping fines and vice versa. The following companies specialize in various types of counters online. Always do your research carefully when purchasing kitchen countertops online. Ask the seller every question you can think of, and double check pricing with your local fabricator. Take shipping costs into account in your final calculation, and know that the counter you receive will be exactly what you wanted.